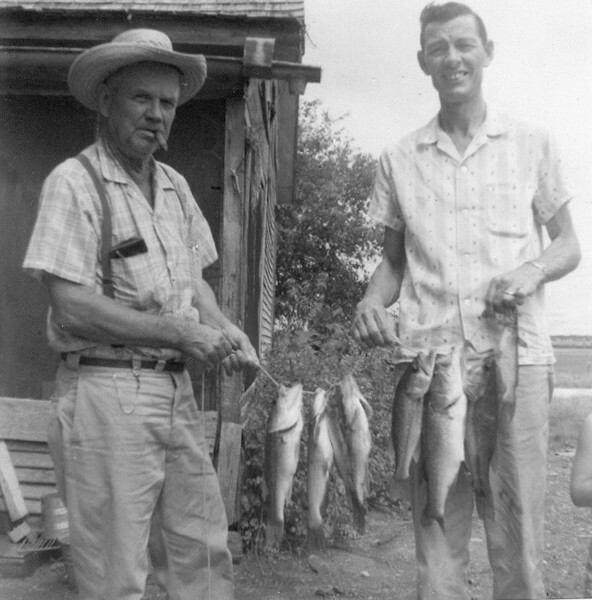 GRANDPA AND DAD Here are Grandpa and Dad proudly displaying a stringer of bass we just brought in. (That's my arm on the far right edge.) Wait till you see the one I brought in.